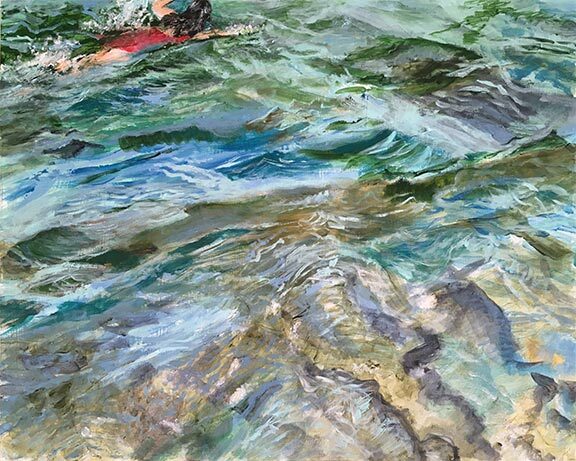 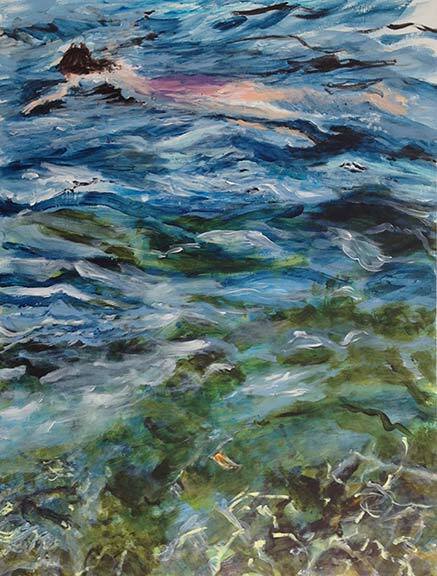 Jane Sherrill: Paintings of people swimming in the ocean and lakes. 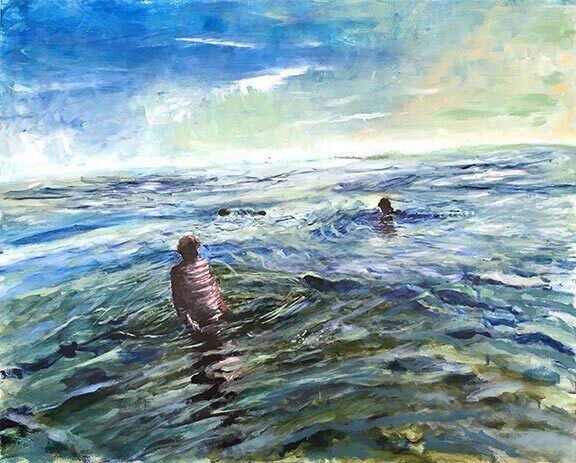 My recent paintings are all about color—the cold blue line of water, from horizon to horizon, punctuated by a human swimmer in a bright-colored bathing suit. 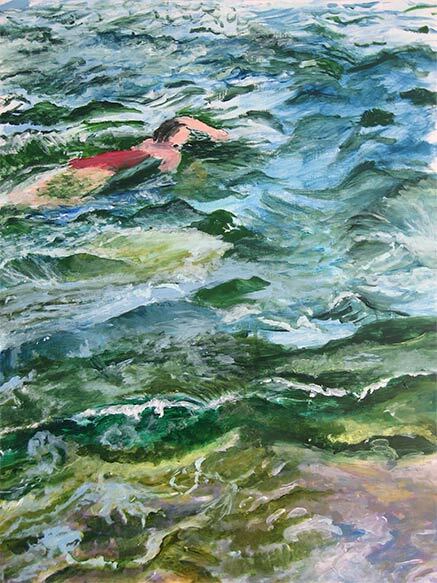 I paint loosely giving the feeling of movement—the way a swimmer moves in and out of water—reflections of flesh and bathing suit reverberating on the waves. 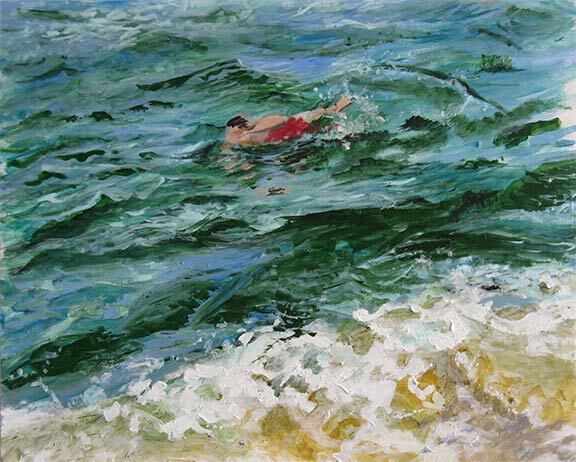 I explore how loose I can make my brushstrokes before my results become unreadable, how far I can push my compositions yet still have my paintings work. 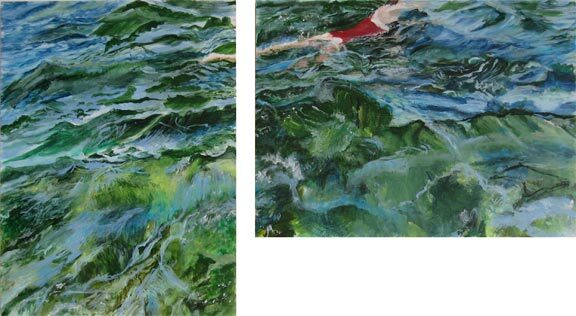 Please scroll down to view the paintings. 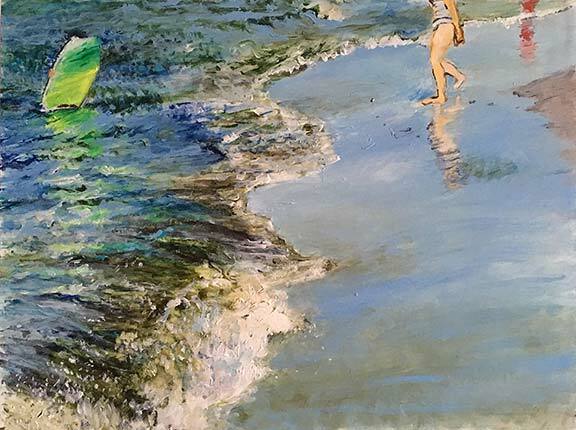 © Jane Sherrill 2017 | Striped Shirt, Corn Hill | Acrylic on wood panel | 24" X 30"
© Jane Sherrill 2017 | Beach Day, Crane Beach | Acrylic on wood panel | 18" X 24"
© Jane Sherrill 2016 | Red Bathing Suit 4 | Acrylic on wood panel | 24" X 42"
© Jane Sherrill 2016 | Red Bathing Suit 1 | Acrylic on wood panel | 16" X 20"
© Jane Sherrill 2016 |Red Bathing Suit 2 | Acrylic on wood panel | 16" X 20"
© Jane Sherrill 2016 | Pink Bathing Suit | Acrylic on wood panel | 24" X 18"
© Jane Sherrill 2016 | Red Bathing Suit 3 | Acrylic on wood panel | 24" X 18"